ISSN=1798-6737. August 2017, Appendix figure 1. 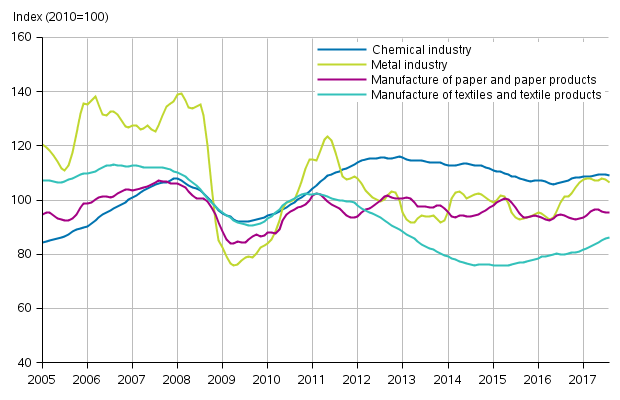 New orders in manufacturing, trend series by industry (TOL2008) . Helsinki: Statistics Finland [referred: 21.4.2019].